face painting, country store, and our flower house for you to enjoy! Stakey’s always welcomes friendly, leashed pets! 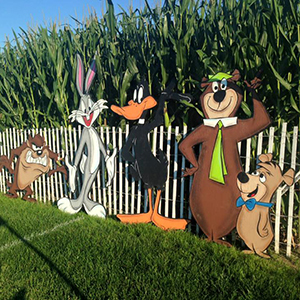 We offer a wide variety of attractions for the whole family, including hay rides, a flower house, and a corn maze. 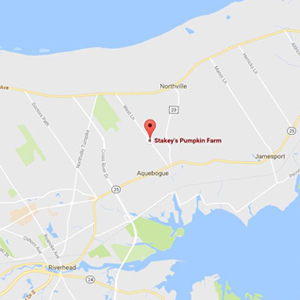 Our pumpkin farm is located on the East End of Long Island in the scenic town of Aquebogue, NY. Click the link below for directions. 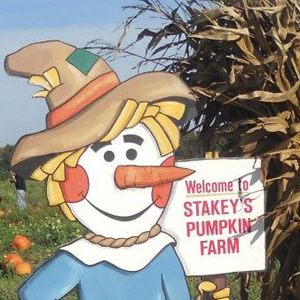 If you are looking for a fun trip to take this fall, come visit our pumpkin farm! Our group trips are perfect for school groups and organizations.